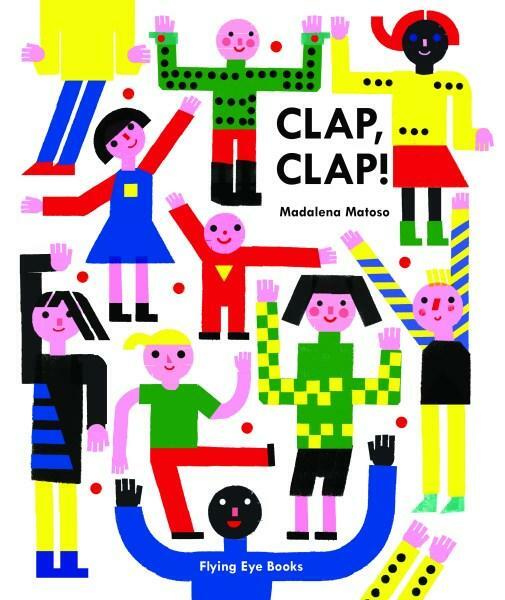 Kids' Book Review: Review: Clap, Clap! Vibrant colour, super cool illustrations and onomatopoeia? What more could a toddler possibly need? Doing! go the cymbals. Mwah! Mwah! go the smoochers. Fomfim goes the accordion. Fzzzzzzz goes the toasted sandwich. With each double page spread alive with striking imagery, animals, instruments and the sounds of everyday life--at home and in nature--Clap, Clap! is a glorious celebration of sound and energy. Children from baby to toddler will be mesmerised by the dynamic illustrations, and the opportunity for vibrant, active reading by older siblings or adults, is truly wonderful.